Appolonia City has been commended for supporting education at the first ever speech and prize giving day for schools within the local Appolonia community. 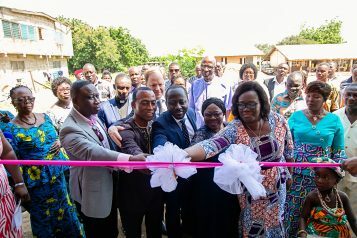 The ceremony sought to recognise and reward hardworking teachers and students, as well as hand over the refurbished two-unit kindergarten block for the Appolonia Kpone Katamanso Municipal Assembly Methodist Primary School. 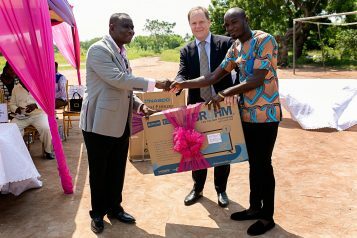 The event was well-attended by government officials, including Rosina Adorbor, Municipal Education Director for Kpone Katamanso and Solomon Tetteh Appiah, Municipal Chief Executive, as well as school representatives, teachers, and students.